Rebecca is a New York based photographer who accepts a last minute job from an old client. The job is a simple one but involves her travelling to a remote part of the South Coast in Britain. Staying at a house in the middle of nowhere, Rebecca keeps thinking she sees things in the darkness. The folk in a nearby town do not put her at ease either as they all appear to be superstitious and don't suggest walking around at night. With her boss constantly checking that the job is done, Rebecca will soon discover that a loss of a job will be the worst of her fears. At just over 40 pages long this graphic novel manages to fit all the major details in amongst its mystery, and still keep you the reader engaged in what will happen next. The art by Barney Bodoano is just as haunting as the story that Thom Burgess has written, both creating a eerie graphic novel with a touch of H.P. Lovecraft to it. 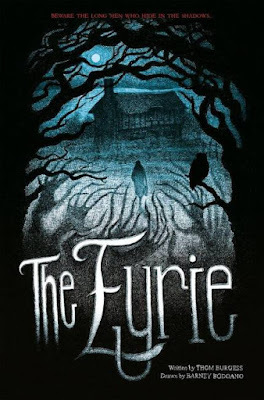 THE EYRIE is full of character and is a tale of the past coming back to get its revenge. It is also worth pointing out that the foreword is done by none other then Reece Shearsmith of THE LEAGUE OF GENTLEMEN T.V. series fame. 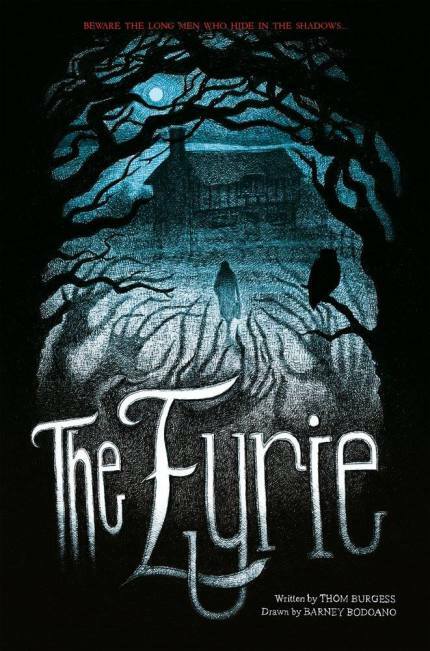 Definitely a graphic novel to check out and read by candlelight, just keep an eye on the shadows as you never know what lies in the darkness waiting.